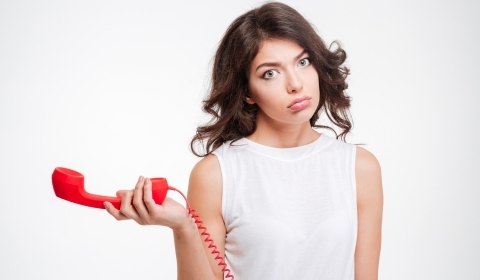 Have you ever picked up your handset only to find your phone has no dial tone? It is frustrating and tends to happen at a time when you really need to make a call. In this troubleshooting guide we will explain the reasons why your phone has no dial tone and some tips you can take to get your phone service working again. What is a Dial Tone? For most modern communications such as cellular service or VoIP, a dial tone is actually not necessary. The reason we have one goes back to the days of landlines. Back then, when you lifted the phone handset (i.e. off-hook) the exchange would send you the dial tone and you knew that the connection from the telephone exchange to your phone was in working order. When you enter the first number and it is recognized, the dial tone stops. For old landline service each digit entered would be sent immediately and each number would be used to help determine the proper destination of the call. These days most people are using some form of digital phone service, such as VoIP. You may be interested to know that for VoIP, the dial tone is not actually necessary and is in fact simulated by the phone when you pick up the handset. In other words, when off-hook the phone simply plays an audio file from its internal memory that simulates a traditional dial tone. However, the phone must be registered to the provider's PBX servers in order to get a dial tone so it is still a good monitor for success. You can verify this by disconnecting the Ethernet cable from the back of your VoIP phone (or adapter). Lift the handset and you will not hear a dial tone, instead you will get the call failed tone or a message saying "Device not registered". It is also worth noting that cell phones have no tone. The signal strength on your cell will determine whether your call can be made to the cellular base station. Also, similar to VoIP the call is made once you hit the send button, or after a specified delay in the case of VoIP calls. If you are not hearing a dial tone when you pick up the handset on your phone then there is obviously a problem. Below we list some troubleshooting tips on getting to the bottom of this issue. This is split into two sections, one to cover traditional landline service and another for VoIP service. For traditional landline phone service, follow the steps below to find the root cause of your dial tone problem. Try a different phone jack to see if the problem still exists. You could also buy a low cost line tester (around $10 on Amazon) which you can plug into the phone jack and the LED readout indicates if you have a dead line. Make sure all phones are on-hook (i.e. handset securely placed). Do you have another phone you can try. This is especially true if you have cordless phones. Try the most basic analog phone possible, a corded one if at all possible, so you know the cordless set is not the issue. If you are using DSL for Internet make sure the DSL filter is in place to block the higher frequency Internet signals from interfering with your phone. Make sure nothing has happened to the wiring where it comes into your house. VoIP relies on a good Internet connection for successful calls. Go through the following steps to isolate your dial tone problem. Is your Internet working? Run our VoIP and Internet test to verify. Power cycle your Analog Telephone Adapter (ATA) or IP phone. Does your phone show that it is registered with the provider or does your home phone say no line? If it is not registered successfully you will not get a dial tone and depending on the ATA or IP phone you may hear an audio message being played that says Device not Registered. Have you changed your network topology (i.e. your Internet setup at home or your business)? If so try putting it back to the way it was before the change and re-test for dial tone. If you have a new router, make sure the router is configured properly for VoIP. Contact your service provider to make sure nothing has changed on your account. For example maybe a bill was not paid and they turned off your service or they downloaded a new firmware update to your ATA, which has now broken the communication path. Most of us have experienced no dial tone at some point and it can be very frustrating and likely to waste many hours. In this article we touched on the reason for having a dial tone and some troubleshooting tips on fixing them, both for landlines and digital services such as VoIP. If you have any tips, comments or questions please let us know using the comment form below. How do I add multiple phones to my VoIP digital phone service? Using a grandstream Ht502 phone adapter. Working fine for 2 years. Last week when dialing out it would ring one time then go back to dialtone. Assumed the unit was bad so I bought a replacement HT 502. Hooked it up without changing any connections, and when I dial out I get a ring tone then a busy signal. Incoming calls get a busy signal. Is the unit bad or is it something else? Have a grandstream HT502 adapter. Worked fine for 2 years. Last week lost phone service. When dialing out first got a dialtone. Then would dial the number and it would not ring It reverted back to a dial tone. Replaced the unit with exact model. Same connections as before. With new unit I get dialtone dial a number then I get a busy signal. Incoming calls get a busy signal. Had my internet provider tech check my internet and modem connection(Arris GT1682). Everything checks out OK. What do you think is the problem? then busysignal. Incoming calls get a busy signal. -> Response: I would say either your phone provider updated the firmware inside the HT502 (over the Internet) and this has caused the issue or something changed on their servers to cause this. Only other thing I can think of is that your Internet provider did a firmware update on your modem/router which has enabled SIP ALG and is causing your issues.